As of May 2018, the paying subscribers of Apple Music have reached 50 million, making it one of the most popular streaming music services globally. Users should pay $9.99 monthly fee in order to stream the music to their devices on-demand. But like other streaming music sites, Apple Music uses digital rights management (DRM) to restrict the playback of those songs on authorized devices only. Because of the DRM, the downloaded Apple Music tracks or playlists will become inaccessible once the subscription is over. To unlock the limit and play Apple Music songs anywhere, you need an Apple Music converter like TunesKit DRM Audio Converter to remove DRM lock permanently from the audio for you. TunesKit Reviews: TunesKit is one of the Best Apple Music and iTunes DRM Removal tool. I can easily convert iTunes MP3 song audio for my Non-Apple devices like Android Smartphone and Windows laptop. As the top-rated Apple Music DRM removal solution, TunesKit DRM Audio Converter is dedicated to helping Apple Music subscribers easily and completely remove DRM limit from songs/playlists/albums downloaded from iTunes and Apple Music stores and simultaneously convert the encrypted audios from M4P format to MP3, AAC, WAV, FLAC and other more commonly used formats. 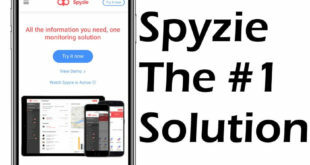 By using this smart tool, you are able to freely share your Apple Music tracks to any device and player and keep accessing those songs even after you unsubscribe Apple Music/iTunes service. Thanks to TunesKit DRM Audio Converter, you can regain the full ownership of Apple Music without worrying about the restrictions any more. What makes TunesKit DRM Audio Converter stands out from other similar programs is its strong ability to keep the original music quality while stripping off the DRM. Specifically, it’s able to retain the lossless ID3 tags and metadata, such as track number, title, artwork, album, artist, etc. in the output MP3s or AACs. In addition, all those information can be modified manually if you like. It also brings other convenient features like adjusting the audio channel, codec, bit rate, sample rate, making converting Apple Music easier and more flexible. Furthermore, the built-in audio trimmer of this app gives you the option to cut the long music songs into small clips by time or by chapter. 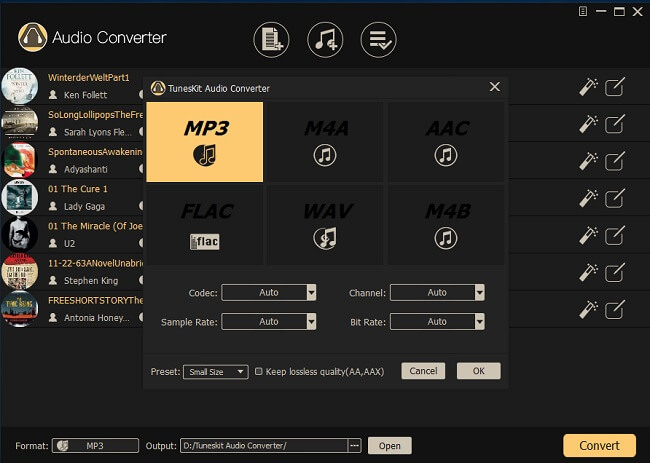 TunesKit DRM Audio Converter delivers these powerful features via a simple user interface. It takes few easy steps to complete the whole DRM removal process at up to 30X faster speed: Add the songs, define output preferences, and convert. After launching TunesKit DRM Audio Converter, click on the second “Add” button to load your Apple Music or iTunes songs into the program. You can also drag the tracks into the main window if you prefer a more straightforward way. Once the music files are imported into TunesKit, move to the “Format” panel at the bottom left corner. Click it and you’ll be directed to the output settings window where you can choose the format as MP3, AAC, WAV, FLAC, M4A or M4B. For each format, you can freely define the parameters according to your own needs. 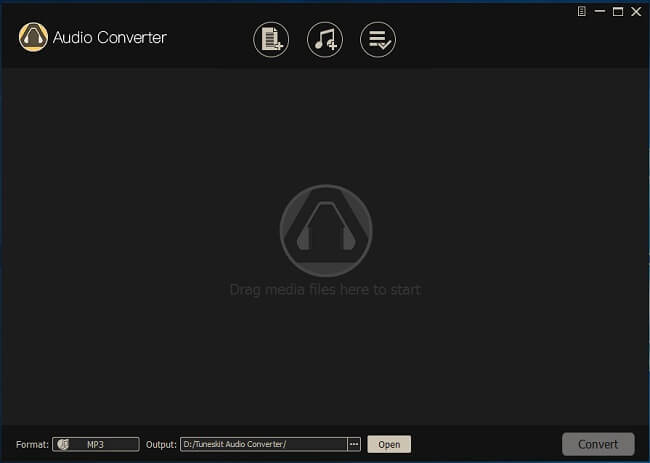 Now hit the “Convert” button of TunesKit DRM Audio Converter to start removing DRM and converting the Apple Music M4P files to DRM-free formats. Wait till the conversion completes and then you can locate and share the well converted Apple Music songs to any device as you want. Apart from removing DRM from Apple Music/iTunes songs, TunesKit DRM Audio Converter, as its name suggests, is a complete DRM removal solution for audiobooks as well, such as the ones you got from iTunes and Audible stores. It’s capable of converting those DRM-ed AA, AAX, M4A, M4B audiobook files to common MP3, AAC, FLAC, etc. for playback on any MP3 player. Moreover, it could also be a great app if you want to convert non-DRM audios from any format to the others. TunesKit DRM Audio Converter is available for both Mac and Windows platforms, including the latest macOS High Sierra and Windows 10. To convert the music properly, iTunes is required to install on the same computer that used to convert the Apple Music songs. You can take advantage of a free trial version that limits conversion to the first one minute of each file. 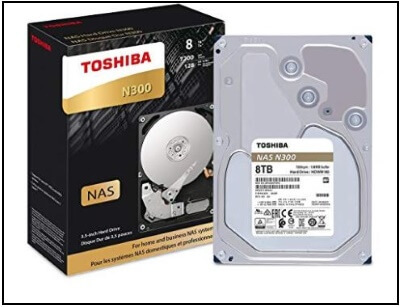 If it meets your needs, you can go for the one-time license at $39.95 with the 60-day money back guarantee. Whenever you need to erase the limits caused by DRM from iTunes or Apple Music songs, TunesKit DRM Audio Converter could always be the top-priority software to test out. It’s not only an easy-to-use Apple Music converter but also a more comprehensive DRM removal solution for all other audios.